Visitors said hello to spring with the first RHS show of the year, the Spring Launch and Orchid Show (8-10 April 2019), based in the RHS Horticultural Halls, London. Growers from across the country came along to exhibit their finest plants and got spring off to a great start. There was a great variety of plants to admire and buy, from airplants and agapanthus, to orchids and bonsai trees. 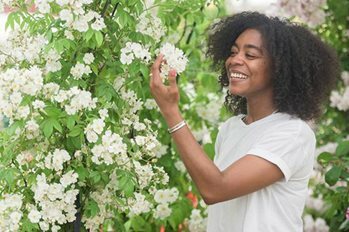 Visitors previewed content for RHS Chelsea Flower Show 2019, got hands-on with an array of talks, workshops and demos and enjoyed great food. ​We had a host of expert speakers at the show, ready to share their insight and knowledge. From growing orchids in the home to understanding which hardy types to choose for the garden, our inspiring speakers provided endless inspiration and advice in our series of free talks.